Disclaimer: Everything in here is extremely WIP and won't be in the first Russian release. Hunting and squashing bugs is the bread and butter of FH2 development and usually it is a quite boring and simple affair. Little oversights and inconsistencies are reported and consequently fixed. Some backstory first. Some time after Dukla Pass I started working on a map called Ogledow. 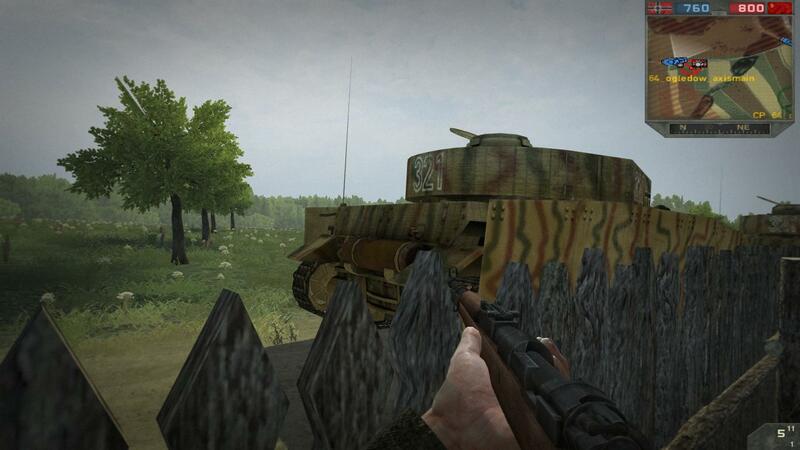 The idea was for a map where the Germans need to break through some defensive lines using heavy armor. I thought having a map with more than one kingtiger would be nice. So we put the map into beta and tested it. All was going well until a tester's game froze out of nowhere. This is in itself unusual: Normally a game will crash, which means we can get an error message. In this case, the whole application froze and had to be killed in the task manager. To make matters worse, soon another froze... and another... until the whole server had experienced the bug. So now the trial and error began. In order to fix a bug such as this, you need to be able to reliably reproduce it. This proved impossible at first. Usually the freezing would start some time into the round, but not at any predetermined point in time. Simply idling on the server or spending time on the map in local did not reproduce it, but it occured during testing without fail. At this time, the map did not have any unusual assets that were not used on other maps, with the exception of an unusual kingtiger skin that was so far unused, but had been in the game since 2.2. However, the bug occured even when it was replaced with the Operation Goodwood Kingtiger. I decided that more drastic measures were necessary and deleted all static objects (buildings etc) from the map. Sadly, no screenshot survives of this, however, it failed to fix the bug. 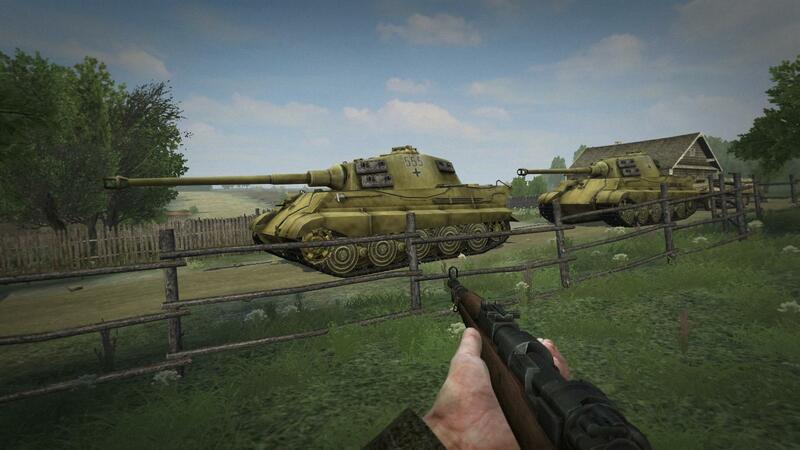 We could conclude, that the problem was either with the terrain, or something in the gameplay objects. So next we tested the map without any vehicles and were unable to trigger the freeze. At the same time we had noticed that the freeze usually occured in the German mainbase or by looking in its direction. 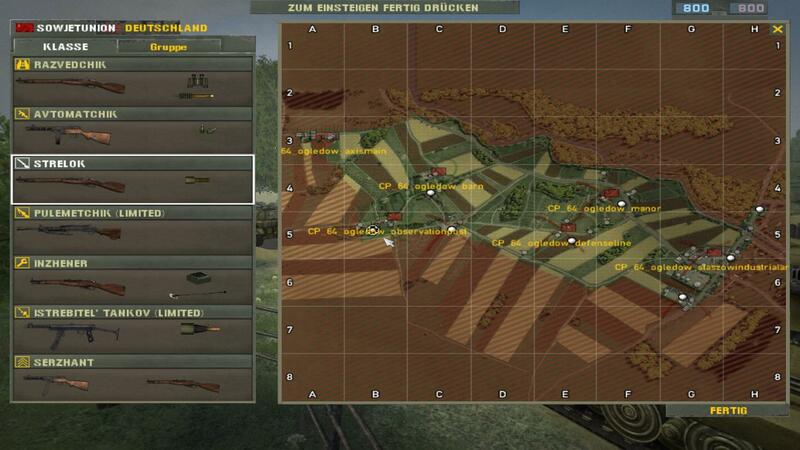 As you may be able to tell from the minimap, the next thing to come up would be the kingtigers. The kingtiger freezes your game when you look at it, but only if it was destroyed more than a kilometer away from its original spawnpoint and respawned after that. A lot of good testing hours died to bring you this information. By the way, for any custom mappers: This is still the case in the public version of FH2 and affects all Kingtiger variants, as well as possibly some other tanks. I hope you enjoyed this little peek behind the scenes, even if the topic was a bit more mundane than usual. I would like to use this opportunity to thank all the testers who spent hours on the test server trying to get their computer to freeze and of course Stubbfan and Harmonikator, who after lots of tries managed to fix it. Can I get "Freeze Veteran" under my nick instead of Masterspammer? awesome job guys looks verry nice! "The kingtiger freezes your game when you look at it, but only if it was destroyed more than a kilometer away from its original spawnpoint and respawned after that." I am glad this bug has finally been squashed! Good work Harmonikater, Stubbfan, and everyone else! Also, thanks for writing this article Ts4EVER. I always enjoy these kind of development stories (even when you find yourself a part of them! ). >Not calling it Medusa Bug. Goddamn the effort going into bug killing and play testing! GJ! Quite a bug, that KT! So happy this is fixed and a huge thanks to guys like Wilhelm & Slayer for spending hours trying to reproduce it. That is some frustrating work, looking for a single bug for hours... Thank you, all developers and betatesters for your altruism, trying to crank out the best! Really awesome read! This are the stories, which makes me feel respect for all the work everyone puts into this mod!